People use screen shots from video games all the time. But what do they really use them for? If you download a screen shot of a video game from a website, you can’t obviously resell it or publish it as your own, but you can use it for your own personal fun. Many gamers like to remind themselves of their favorite games by setting an image as the background of their computer desktop. Some gamers also like to download images to their phones or iPod touch devices and use the screen shots as backgrounds and lock screen images for these devices. They don’t even have to be high resolution to work for this purpose. If you don’t want to use your own face as an avatar on a social networking site, use a screen shot of your favorite character from Red Dead Redemption instead. Many different websites offer the same screen shots as the next. Let’s take a look at some of the popular themes that exist amongst Red Dead Redemption screen shots. John Marston: The leading character is obviously one of the most popular subjects in the screen shots. Perhaps the most popular features our hero walking all swanky-like out of a Western town with his head tipped forward and down, revolver in hand. Others feature Marston in action shots, like holding a knife to a goon’s throat or engaging in a multi-enemy shootout. Bonnie MacFarlane: Love or hate this somewhat annoying Texas ranch girl, she’s a pretty sight in the eyes of most gamers. Clad in a white shirt, leather vest and riding culottes, Bonnie cuts a feminine figure both on horseback and at the gambling tables, both of which are scenes of some popular screen shots from the game. 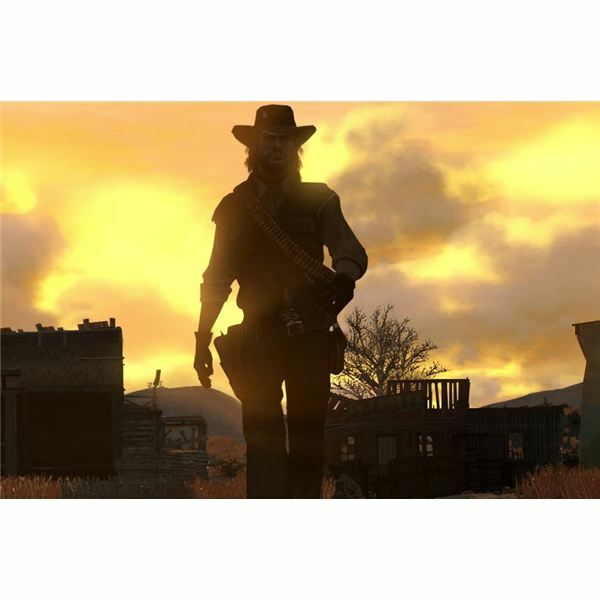 Villains: Whether John Marston is battling it out with his old riding honchos, desert bandits or Mexicali thugs, he’s always stuck in the middle of a ring of liars, cheats and thieves. You get a pretty good view of each of these villain types from all sides, depending on how the scene is shot. If you want an action scene for your background, pick one where Marston is accompanied by bandits. Wildlife: Hunting is a big part of Red Dead Redemption. Ordinarily, Marston shoots deer, but you’ll also get the opportunity to down cougars and coyotes. 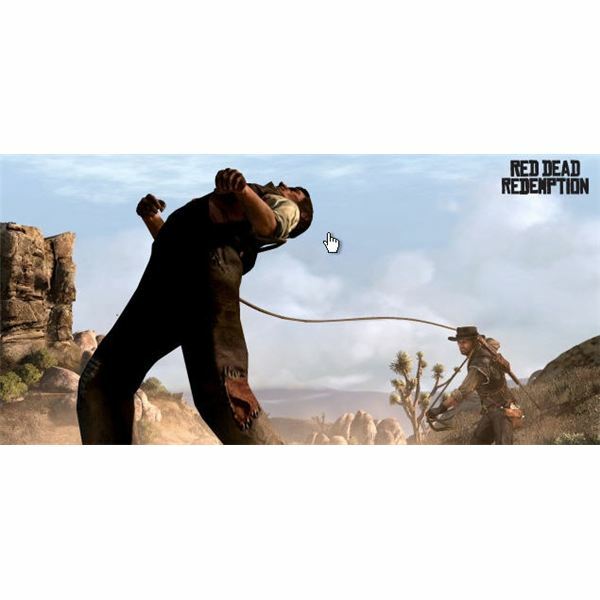 If you’re something of the hunter type yourself, feel free to look for the wildlife-oriented screenshots that highlight Marston as he hunts down his prey on horseback and lassoes or shoots them to the ground. the big gaming websites. These tend to look crisper than the pixilated screen shots taken from random users. Note that most websites will include a small watermark in the corner of the screen shot. IGN: IGN’s website features more than 200 “Red Dead” screen shots that depict scenes from the beginning to the end of the movie. You’ll find plenty of high resolution images featuring John Marston, Bonnie MacFarlane, Mexican bandits, Marston’s enemies and of course, lots of wild horses. GameSpot: GameSpot boasts an equally wide variety of screen shots to choose from. Its library also features high resolution images, but many of them mimic the same ones that IGN has, with little variance. This isn’t uncommon, as you can only get so many different angles from the same video game. Team XBOX: This website doesn’t have quite as many screenshots as the previous two, but they still have plenty to choose from. 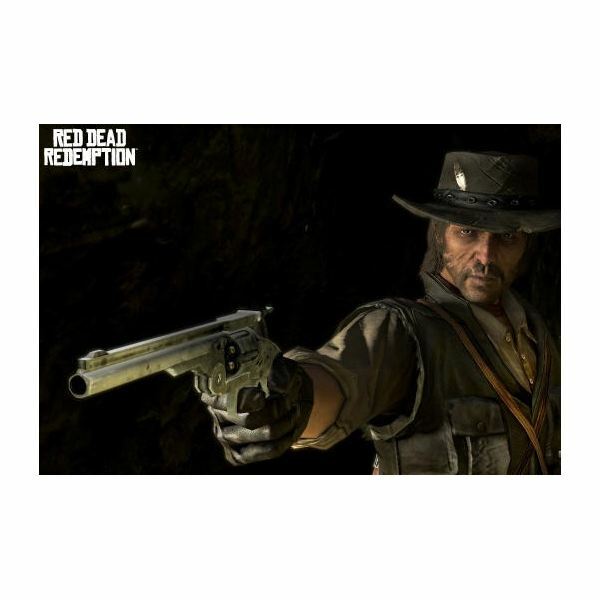 They actually have several action-oriented screen shots that feature Marston’s famous revolver and his repeater carbine. The color in each picture is deep as well, so you might check out their library for some good quality pictures. Always make sure the site you’re on is a virus-free one. Downloading screensavers and screen shots can sometimes make your computer susceptible to viruses. Only go to sites whose names you recognize and trust or whose names have been recommended to you from a trusted source. Remember, too, that each website offers the pictures in different resolutions. You won’t be able to stretch the screen shots to your screen’s full capacity in most cases, even if they are high resolution. You might have to tile the pictures or center them on the screen and put a colored background behind them.